This blog became an idea in my head, when one day I went to a local Barnes and Noble bookstore and hit the "Hispanic" section. I was shocked to see one lonesome book there on the shelf that called itself the "Hispanic" section. In the past months I have received many a note telling me that nonwhite authors and their books are not marginalized by society, as a redress I found this article quite interesting. find his books easily and has underpinned his career. At the same time, he says, the placement "limits my sales." Should fiction written by black authors be shelved in African-American departments, a move that often helps nurture writers? Or should it be presented alongside other categories, such as general literature, allowing books written by black authors to take their place in publishing's mainstream? explosion in black fiction at a time when book sales as a whole are in decline. comparison, major New York publishers say black authors are flourishing. Noble Inc., the country's largest book retailer, don't follow the practice. found in the horror section or in general fiction. retailers don't market these artists under a separate "African-American"
compared with 345,000 for its famed Book of the Month Club. For years, classics of black literature – Richard Wright's "Native Son"
redefining the black experience, and booksellers rushed to group them together. still makes sense because race continues to be a defining issue." line, but the reader wants to know if a book has African-American characters,"
color, and therefore has a special sensibility. get our writers?'" says Ms. Peoples. -- a practice she calls a "disservice" and "racist." majority of book buyers -- limiting their chances of earning bigger paychecks. exclusively in a Jewish-American section. Ms. Weiner, whose books include "Good in Bed" and "Little Earthquakes,"
"The Great Betrayal," from white to black or race-neutral. boundaries, and adhere to them," says Ms. Aldred. brighten the chances for new, undiscovered writers. There are no publicly available sales numbers to determine which approach works best. Tananarive Due, who writes supernatural suspense tales, says that when she started out in 1995, she was embraced by black booksellers. Her book tour was almost exclusively in black stores. "There is nothing worse than the release of a book without an audience," she says. "Frankly I'm glad my books were launched as they were. 2005, which was my best year so far," he says. This year he expects to generate roughly the same amount. He has sold the film rights to his second novel to a film unit affiliated with his publisher, Kensington Publishing Corp. in New York. Mr. Massey nonetheless worries he's being shortchanged by being shelved in African-American departments. "Most nonblack readers aren't going to the African-American section," he says. His goal, he says, is to compete with Dean Koontz and Stephen King. So it's another wet, cold, gray day here in NYC. We've been infiltrated by KFC-Taco Bell loving rats...and what else is new? We invite you to experience the brilliant imagery of Mi Puerto Rico: Master Painters of the Island, 1780-1952, now through April 15th at The Newark Museum in Newark, New Jersey. It's the first major art exhibition in the continental United States devoted to Puerto Rico's three greatest masters: Jose Campeche, Francisco Oller and Miguel Pou. Their paintings offer an extraordinary glimpse into the rich artistic heritage of this Commonwealth of the United States. Mi Puerto Rico: Master Painters of the Island, 1780-1952 is on view through April 15th at The Newark Museum, where you can enjoy 80 galleries of inspiration and exploration. Get more information about The Newark Museum by going online to The Newark Museum. IN 1996, I lamented the dearth of minorities, particularly African-Americans, in the movie industry. This was obviously pre-Forest Whitaker's winning portrayal of Idi Amin in "The Last King of Scotland." It was a decade prior to Halle Berry's historic nod, or Jennifer Hudson's much-deserved Oscar for her supreme, show-stopping performance in "Dreamgirls." It was two lifetimes before rap artists 360 Mafia made pimpin' a little easier. Of the 166 Academy Award nominees that year, only one was African-American. Sure, Oscar-winner Whoopi Goldberg presided over the festivities, with Quincy Jones serving as the show's co-producer. The disturbing message sent in 1996, however, was as clear as the image of separate water fountains, of fire hoses, police attack dogs or treating segments of society as if they were invisible. The message was: Whites only. This year's 79th annual awards show was the most globally diverse in the history of the Academy. Sunday's international broadcast showcased 20 outstanding nominees in the acting categories. Of them, five were of African descent. Overall, blacks fared well, receiving a total of eight nominations and three wins. Latino filmmakers brought their A-game as well, garnering 16 nominations and four wins, three for Guillermo Del Toro's "Pan's Labyrinth" and one for Gustavo Santaolalla in the best music score category for "Babel." With an acting nomination for a descendant of Japan and a best-short-documentary win for Chinese director Ruby Yang, Asians didn't go home empty-handed, either. But my favorite part of the ceremony - aside from director Michael Mann's film montage showcasing diversity in cinema and Whitaker's touching acceptance speech - came in the opening monologue. That's when quirky host Ellen DeGeneres stated, "If there were no blacks, Jews or gays, there would be no Oscars." Of course she was being sarcastic - the part about blacks, that is. Each year, studies are done, statistics are collected, commitments are made and, ultimately, promises are broken. A decade ago, fewer than 150 - or 3.9 percent - of the then-5,043 Academy members who nominate and choose Oscar winners were black. Only 2.3 percent of the Directors Guild membership was black. A mere 2.6 percent of the Writers Guild was African-American. Blacks accounted for less than 2 percent of the 4,000-member union of set decorators and property masters. For other minorities, the numbers were equally disgraceful. In 2007, those stats really haven't budged much. You would think liberal Hollywood would have recognized by now that mining for greater minority participation in front of and behind the camera could dramatically increase its bottom line. A highly sought-after export, entertainment is an American commodity yielding solid returns. Films with a global reach seem like a no-brainer. The bottom line, however, is that many in the industry - consciously or otherwise - continue to arrogantly shun the gifts minorities have to offer. The result is less potential revenue, fewer jobs, fan stagnation, and more international trepidation about the United States and all that we allegedly stand for. So while we revel in the awesome splendor of Oscar, we know why everyone is still not invited to the Governor's Ball or Vanity Fair's soiree. And the reason has to do with basic tenets of equality. Actor Edward James Olmos' assertion that "All of the Oscar-nominated pictures put together give lots of hope to diversity in general, and world cinema in particular," means nothing unless moviemakers come out of preproduction and get the cameras rolling in Africa, Latin America, China and "other" parts of America. If it's true that Hollywood is a place where money doesn't talk but screams, add my voice to the choir on set shouting at the top of its lungs, "ACTION!" For me, it always speaks louder than words. Former Los Angeles Superior Court Judge Kevin Ross is a past president of the Organization of Black Screenwriters. Biologists videotaped a beaver swimming up the Bronx River on Wednesday. confirmed the presence of the animal itself. Syracuse. "We're probably going to see more of them in the future." the city's colonial beginnings, according to the city's Web site. 1800s, according to the city Parks & Recreation Department. Biologists have nicknamed the animal "Jose," as a tribute to U.S. Rep.
"But I don't know to what extent I imagined things living in it again,"
Among all adults, People, Better Homes and Gardens and AARP The Magazine are the most-read titles, according to Monroe Mendelsohn Research. But the list gets varied when broken down by race and ethnic group, the firm found. Among Hispanic adults, National Geographic and Sports Illustrated are more popular than they are with all adults, according to the data from MMR s 2006 Publication Research Satisfaction Survey. MMR asked adults which titles they read in the past six months. National Geographic and SI ranked fifth and seventh, respectively, among Hispanics versus ninth and 10th among all adults, respectively. And Cosmopolitan and Entertainment Weekly, which didn t make the top 10 for all adults, cracked the list for Hispanics at No. 10 and 9, respectively. New York, NY--(HISPANIC PR WIRE)--February 21, 2007--Touted for her cuisine with a Hispanic flair, Ingrid Hoffmann is bringing her culinary expertise to the Food Network, signing a multi-year deal to star in her own daytime series set for premiere in third quarter 2007. She will make her first appearance as a Food Network talent at the upcoming Food Network South Beach Wine & Food Festival in her hometown of Miami, February 23rd-25th. Ingrid's obsession with food, cooking and style began as a little girl in her homeland of Colombia. Under the influence of her mother, a Cordon Bleu chef, Ingrid discovered her passion for food and entertaining, developing dishes with a Latin twist, which will be the focus of her new yet- to-be-named series. A stylish and accomplished TV personality and author, Ingrid is currently working on her first cookbook for Clarkson Potter/Random House set for release next year. Bob Tuschman, SVP of Programming and Production for Food Network, said: “Ingrid has a loyal and passionate following in the Hispanic community. Her love of food, flair for easy entertaining, along with her inviting personality is sure to draw a new legion of fans to our air. We are happy to have her join the Food Network family.” In addition to hosting her own cooking and lifestyle show, Delicioso (http://www.delicioso.com), in its second season on the Spanish-language Galavision/Univision, Ingrid appears regularly on Univision's Despierta America. She is a frequent food and décor contributor in BuenHogar, the Spanish version of Good HouseKeeping, and publishes a syndicated column in the Rumbo chain of Spanish daily newspapers. Raised in Colombia, Ingrid moved to Miami where she opened La Capricieuse, a high fashion luxury boutique in Miami's Coconut Grove. In 1993, Ingrid opened Rocca, the first restaurant to feature tabletop cooking on heated lava rocks. Within weeks, Rocca was touted as the hot destination for Miami's movers and shakers. Ingrid also became one of Miami's premier live event planners with a client list that included M&M Mars, Bottega Veneta, Gucci, Thomas Maier and Comercio.com. While these businesses flourished, Ingrid was approached to host a cooking segment on a Miami area TV show and has continued to entertain as a television personality since. 44 Degrees: It's Almost Spring!!! So for a frozen New Yorker like myself, the "warm" temperature yesterday and today, warm being ~45, has given me Spring fever and renewed hope. It's got me in good spirits. So yesterday, I'm in the car with my lil' bro, who always keep it real and this song, This is Why I'm Hot, comes on. I'm loving it, "I'm hot coz I'm fly (fly) You ain't coz you're not." Now grammar aside, this is such a ghettofabulous and logically delicious statement, that it brings a smile to my face everytime I hear it. One more time...I'm fly & you ain't cause you're not! Sweet! So earlier this week, I got my imported jeweled eardrops from Elecom, and they're okay as audio accessories however, they (annoyingly) don't stay in my ear. My auditory opening is too small, and they just don't stay in. So they look cute for all of 10 seconds in my ear before falling out. UGHH! What a pain! It’s the Cat’s Big 5-0! • To honor “The Cat in the Hat’s” 50th birthday, send him an e-mail birthday card. For every card the cat gets, Random House will donate a new book to First Book, a nonprofit organization that promotes reading in low-income communities. Cards must be received by May 1. Random House will also donate a new book to First Book for every copy of any Dr. Seuss book it sells before May 1. For more details, go to www.catinthehat.com. Grupo Planeta and Casa de América have announced the formation of a new literary prize, the Premio Iberoamericano Planeta Casa de América de Narrativa. The contest is open to unpublished, Spanish-language works; this year’s deadline is set for March 15. Winners will be announced every year on April 23 in a different Spanish-speaking country; this year’s winners will be revealed in Bogotá, Colombia—named 2007 Book Capital of the World by United Nations Educational, Scientific and Cultural Organization (UNESCO). The first place winner and finalist will receive US$200,000 and US$50,000, respectively. Submissions will be accepted at all of Planeta’s offices (Argentina, Brazil, Colombia, Chile, Ecuador, Mexico, Perú, Portugal, Spain, United States, Uruguay, and Venezuela). Casa de América is a Spanish consortium that serves as a forum for ideas and debates concerning cultural, economic, political, scientific, and technological matters of Spain and Latin America. Nominations for the International Latino Book Awards for books published in 2006 are now open. 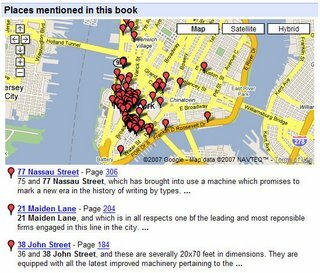 The results of the 58 categories the award comprises will be announced during BookExpo America 2007, which will take place this June at the Javits Center in New York City. The purpose of this award, organized by Latino Literacy Now, is to recognize the positive contributions made to Latino literature by publishers and writers worldwide. Thanks to the rise in nominations of literary works from different parts of the American continent and Spain, the award’s name was changed in 2006 to International Latino Book Awards. Nominations will be open until March 16. For more information go to http://www.lbff.us/sponsors/press-room/latinobook/index.htm. In anticipation of National Poetry Month 2007, The Academy of American Poets is looking for America’s biggest poetry fans: people who demonstrate a passion for poetry that goes beyond the usual. Email a short essay to ebleakney@poets.org by March 15, 2007 describing in 250 words or less why you (or you and a friend—or, if you are a teacher, you and your class) are the number one fan or fans of the poet you have chosen. We’re looking for the most compelling and creative entries and welcome the use of supporting materials such as photographs or videos after you have submitted your essay. Just mention you would like to submit supporting material in your email and an invitation to post on our flickr.com or youtube.com group pages will be emailed to you. LOS ANGELES - A rare edition of "The Grapes of Wrath," John Steinbeck's epic 1939 tale of Depression-era poverty, sold at auction for $47,800. A number of other first-edition copies of Steinbeck works were sold Sunday at an auction held by Bonhams & Butterfields. A copy of "Of Mice and Men" sold for $7,768, "East of Eden" for $8,365 and "In Dubious Battle" for $11,353. The books were owned by the author's sister, Elizabeth Steinbeck Ainsworth, who died in 1992. The Steinbeck family chose to sell the books to finance renovation of a Pacific Grove, Calif., bungalow where Steinbeck wrote some of his books, said Catherine Williamson, director of fine books and manuscripts for Bonhams. The collection sold for more than $200,000. Five of the Steinbeck titles were bought by Jim Dourgarian, a Bay Area antiquarian bookseller who specializes in Steinbeck's work. His purchases included "Cup of Gold," which he called a relative bargain at $21,510. "The fact that this was probably the last close family copy that is not in an institution made it highly desirable," Dourgarian said. He said it also is valuable because Steinbeck inscribed it, and it is wrapped in a brightly colored dust jacket showing a buccaneer. Bonhams believes the $47,800 price for the Pulitzer Prize-winning "Grapes of Wrath" is the world record for an at-auction sale for a Steinbeck novel, Williamson said. I've always loved this book and have always felt inspired to collect antique books. Ever Stay in Bed All Day Long? Every now and then, I like to indulge myself in a day of relaxation, by sleeping in late, not answering the phone or even charging my cell, surrounding myself with my laptop, my books and ignoring the outside world. Sometimes I don't even bathe, comb my hair or brush my teeth. The next day, I radiate. Maybe it has to do with a full day's rest or just a well fed spirit, I don't know but it works wonder even if it is a little lonely at the end of the day. ORIGINS: Puerto Rican raised in L.A.
And BE the first to experience the new show from Mayumana, the world-renowned performance troupe that ignites your senses with an intoxicating display of color, texture, sound and motion. Now, this internationally acclaimed group—which has performed for millions worldwide—debuts the brand new, eye-popping creation BE, an explosive 90-minute production that takes you on a thrilling journey and never lets go. Don’t miss your chance to see them live and BE a part of this exuberant performance. *Conditions: Offer is subject to availability and prior sale; not valid on prior purchases; cannot be combined with other discounts or promotions. Not valid 3/13, additional blackout dates may apply. Limit six (6) tickets per order. No refunds or exchanges. Telephone and Internet orders are subject to standard service fees. Offer is valid for all performances through March 23 but may be revoked at any time. $39 offer for all performances except Sunday at 7pm (Reg. price $60). $35 offer for Sunday 7pm performances (Reg. price $40). For the first time in its 40 year history, the Puerto Rican Traveling Theatre will be presenting twelve of the hottest, cutting edge Latina poets and performers in an exciting festival at its permanent theater, 304 West 47th Street, in the heart of Broadway, beginning Thursday, March 8, 2007 at 8 p.m.
SANDRA MARÍA ESTEVES, the revered Puerto Rican poet often referred to as the ‘Godmother of Nuyorican Letters’, MARIPOSA, one of the most dynamic, young poets of the New York Latino scene, as well as all time favorites LA BRUJA, the powerhouse performer PATTY DUKES, the queen of the college poetry circuit LINDA NIEVES-POWELL, and the fiery PRISIONERA have joined the roster of performers who will be participating for 8 performances at the Puerto Rican Traveling Theatre. Adding their talent to this special theatrical event will be veterans such as CARMEN D. LUCCA, DRA. MIRNA NIEVES and the popular RHINA VÁLENTIN, along with the seasoned, award winning poets CARMEN VALLE and LOURDES VAZQUEZ. MIRIAM COLÓN VALLE, Founder of the theater, will be the Director and Producer, JACK LANDRON will co-produce, SOLEDAD ROMERO will be Literary Advisor, and MIRIAM CRUZ will interpret some of their works. Throughout the years, the Puerto Rican Traveling Theater has established a consistent record as a professional, bilingual theater company which has added diversity and quality productions to the New York theatrical landscape. The company, founded by the Puerto Rican actress Miriam Colón, has been an Actors Equity company since 1967, and has become a mecca for Hispanic and mainstream audiences who enjoy high quality, professional bilingual productions. Opening night for the LATINA POETS FESTIVAL 2007 will be on Thursday, March 8, 2007 at 8:00 p.m. Performances also on Fridays and Saturdays at 8:00 p.m. Sunday performances will be at 3:00 p.m. only. This limited engagement production will run only till Sunday, March 18 at the Puerto Rican Traveling Theatre, 304 West 47th Street, between 8th and 9th Avenues. Admission is $20 or $15 for properly identified students or senior citizens. TDF is OK. Reservations: 212-354-1293. Purchase tickets at www.telecharge.com. Click on Puerto Rican Traveling Theater. The Puerto Rican Traveling Theatre’s Mainstage presentations are possible thanks to the generosity of the New York State Council on the Arts, New York City Department of Cultural Affairs, Manhattan Borough President Scott M. Stringer, Bronx Borough President Adolfo Carrión, Jr., Shubert Foundation, National Endowmend for the Arts, American Express, American Theatre Wing, Carnegie Corporation of New York, TIAA-CREF, Edith C. Blum Foundation, New York City Council, Hispanic Federation, JPMorgan Chase, and individual supporters. The Puerto Rican Traveling Theatre is grateful to their Media Sponsor: Urban Latino Magazine. Literally and existentially down and dirty, “In the Pit” is an absorbing documentary about work and the transformation of men into laborers. Directed and shot with sensitive attention to detail by Juan Carlos Rulfo, the film takes us into a world apart, populated by members of the construction crew building the second deck of the Periférico beltway in Mexico City. For the city’s inhabitants, each of whom apparently spend an estimated 1,485 hours a year commuting, and mostly on public transportation, the construction is at once a nuisance and a possible solution. So much of American pop thrives on a bratty facsimile of courage that when you see the real deal, it's a revelation. "East of Havana" is the real deal. Directed by Jauretsi Saizarbitoria and Emilia Menocal, it's a nonfiction feature about young Cuban rappers exercising the artist's prerogative to tell the truth in a country that muzzles free speech. "Latino Literature: Trends vs. Tradition" during which she will provide an overview of Latino publishing in the U.S. followed by a Q&A. It's absolutely frigid weather in NYC. Last night I had to wait for the bus about 15 minutes, because I missed one when I got to the stop. I swear I felt the chilly wind in between every seam in my coat and through the two layers of clothing I had on. Ughh, I hate winter! When Javier Marías finally wins the Nobel Prize for Literature — he's perennially considered to be on the shortlist — he'll have no need to thank American readers. His international renown as a novelist for the ages rivals that of Haruki Murakami, yet despite plenty of critical attention here, Marías gets none of the love that his peer enjoys at US bookstores. Maybe he needs some talking cats. Whereas Murakami's novels spiral outward from seemingly mundane beginnings to increasingly surreal tableaux, Marías' turn discursively inward — first, into familiar realities constructed primarily by metaphysics and language, and only second by the actions of his characters. Translation: a Marías novel is generally a slow read. That said, A Heart So White — perhaps the best introduction to Marías' oeuvre — starts with a bang. Juan, our narrator, describes the suicide of his father's second wife, who inexplicably shot herself in the chest while her family ate lunch in the next room. Her widowed husband went on to marry her sister, Juan's mother, but the story of "the woman who would have been yet never could have been my Aunt Teresa" continues to haunt Juan, even after his own marriage. The rest of the novel is, very simply, about how Juan comes to know the secret behind his aunt's suicide, and his father's role in it. The truth, when it comes, is astonishing not only because we could never have foreseen it, but also because it makes clear that the novel's narrator, whose method can initially seem rather aimless and inscrutable, very much has a purpose all along. Juan tells a story about a big secret by talking about little ones, limning all the different parts of ourselves that we can never explain to one another. Marías' insights into the human experience are brilliant throughout, but the depths of his artistry can't be plumbed without patience and faith on our part. Marías asks a lot of readers, but the five million who are happy to oblige him can't all be wrong. On the Down Low: Say "Nerd"
Okay, so maybe I'm a geek, but I'm a cute geek so there you go. I spotted these earphones and let just say they're music to my ears, or would that be eyes? 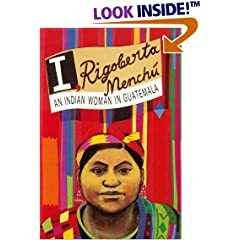 I, Rigoberta Menchu or Is it we? did not say which other parties may have approached her. forming an Indian party with a view to the 2011 elections. 200,000, mostly Mayan Indians, were killed or disappeared. the "About this book" page. Don't forget to wear red tomorrow!